WARNING: Prior to June 2014, the Kurdistan Regional Government administered area has significantly greater stability and statistically a lower risk of terrorism compared with the rest of Iraq. But since then, due to the Northern Iraq Offensive, which includes the ISIS capture of nearby Mosul, less than 100kim from Erbil, the regional capital, and some villages near Mosul, some only 40km away from Erbil, travelling in Iraqi Kurdistan at the moment is discouraged. And even after controlled by Kurdish army, it is still very dangerous to travel to Kirkuk or remote areas bordering Turkey and the Islamic State. If you must visit these areas consult your embassy and see War zone safety. To all travelers planning to enter the region: Travel to Iraqi Kurdistan is not advisable as due to the threat of foreign jihadi elements Kurdish authorities are detaining for questioning all foreign citizens that have crossed the border from Turkey. You may face deportation. Note that even Arab nationals entering from Turkey will need a "Kurdish guarantor" to enter the region. Kurdistan refers to portions of Turkey, Iraq, Iran and Syria, however only the Iraqi region of Kurdistan is discussed here. See the articles on Turkey, Iran and Syria for information regarding the other regions of Kurdistan. Having been spared the war of 2003, Kurdistan-Iraq is a very different place from middle and southern Iraq. With a minimal level of terrorist activity and massive economic development, Kurdistan is fast becoming a "gateway to Iraq" with high levels of foreign investment and development of infrastructure and tourism. Be careful when discussing nationalist issues which many Kurds feel strongly about. Also read up on the Al-Anfal campaign and chemical attack on the Kurds by Saddam Hussein to exterminate droves of Kurds in the late 1980s - although this was over twenty years ago, the event coloured the last few decades of Kurdish history. There are several powerful reminders of it, such as the Amna Suraka prison in Suleymaniyah. And be careful about calling a Kurd Iraqi because they don't count themselves Iraqi, even though they are Iraqi citizens by records, they say kurds are from Kurdistan -the land of the Kurds- and not Iraq, and recently the president of Kurdistan was claiming to anounce the Kurdish State, which is a serious debate in the region. In Iraq, Kurdish and Arabs are very different, different language, different culture, different life style, Kurdish society consists of variety of religions and beliefs like (muslims, christians jewish, Yazidis, kakayis, Zoroasterians, Yarsanis, hawaris, Ahli haqs ...etc) and they all live together peacefully. In general, Kurdish people are very friendly, you can make friends with anybody and start talking to anyone on the street, so be open to new experiences. Iraqi Kurdistan refers to the 3 Kurdish northern Iraqi Provinces, which are semi-autonomous of the central Iraqi government and ruled by the Kurdistan Regional Government. These provinces achieved de facto independence after an uprising in 1991 and their autonomy has now been enshrined into the Iraqi federal constitution. The 3 Kurdish Provinces are, Duhok, Erbil, and Sulaymaniya. 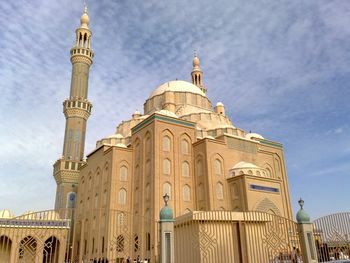 Although the city Kirkuk is largely inhabited and controlled by Kurds, but it is not under the rule of the Kurdistan Regional Government (KRG). Kirkuk and some other parts such as Diyala and Mosul are disputed. The Kurds claim that these places are originally Kurdish but were subjected to harsh Arabization by the outsted Ba'ath party which ruled Iraq for 30 years. They want these cities to return to Kurdish autonomy. Apart from the 3 Kurdish provinces, it is not safe to travel to the disputed places. While it is very safe to travel to Duhok, Erbil, and Sulaymaniya, it is not safe to travel to Kirkuk or Diyala. Citizens of the US, the UK, Canada, Australia, New Zealand, Turkey and all EU member states, are given a free 15 day entry stamp on arrival. Most other nationalities must obtain a "Iraq - Kurdistan Region" visa in advance. However, you will have to report to the Residency Office within 10 days of your arrival if you want to stay longer than 10 days. This involves many forms to fill out, around $30 USD in fees as well as a compulsory blood test to check for Hep C and HIV (although this does not seem to be the case anymore). Be prepared to wait for around 2-3 hours throughout this whole process. Please be cautious about your visa stamp, however - if you arrived by bus, make sure your visa stamp does NOT feature a car (otherwise, they will not let you leave the country (without hassle) unless you are in a car). This is a rare mistake but just stay aware! Border control is fairly strict (understandably). If you have a contact in Kurdistan, come armed with their name and address. If you don't, make sure you have a very good idea of what exactly you will be doing and where you will be staying. You are also more likely to get in if travelling with someone else, and if you are well-dressed. There are daily flights to Europe and Turkey as well as other Middle Eastern cities, such as Beirut, Dubai and Amman, especially from Erbil International Airport. You can take buses from Istanbul to Silopi, the closest town on the Turkish side, and then take a shared taxi across the border to Zakho, the closest town to the border on the Iraqi side. The taxi driver should charge around $50 - $60 to take you across the border. If coming from Syria, don't attempt to cross straight from Syria to Iraq - extremely bad idea. Instead, get to Al-Qamishli in Syria, walk across the border to Nusaybin, and ask around for a bus to Silopi. To get to Al-Qamishli from Damascus is about 9 hours, and to get from Nusaybin to Silopi is about 4 hours. The border formalities may take as little as 45 minutes or as long as 7 hours. No papers nor photocopies are needed, and the procedure is not that complex as written in resources dating as recently as a year ago - all you need is your passport. The inbound is actually quite comfortable; For example you get a cup of tea and lounge on a couch watching TV untill they finish processing your Passport. Buses from in Iraq-bound direction are cheaper than the Turkey-bound buses, maybe this is caused by longer queues on the border. Have prepared 30 USD (towards Erbil) or 40 USD (towards Dyiarbakir) and negotiate. From Iran, regular buses connect Tehran to Sulaymaniyah. Buses cost approximately 70,000 toman (700,000R Iranian Rials) and are VIP. Most leave at night and will arrive at the border around midday. Be prepared to wait in the bus for some time before disembarking. The border crossing (especially on the Iranian side) can be quite a hassle for non-locals. You will need to buy some kind of exit permit for a fee (about the equivalent of US$10): try to find someone able to translate for you since all signs are in Farsi and it's hard to find any clue of what is being expected from you. In case you're picked out for questioning and/or searching of bags, make sure there's someone you can trust to translate for you as well. Questions, including political ones about opinions, can be asked by the officials. NEVER answer anything even close to being negative, just appease them and be friendly and patient. Being a 'stupid tourist' works better than engaging in political discussions. The Kurdistan side of the border seems quite orderly, though be sure to follow all orders and instructions by any official closely. From Sulaymaniyah it is possible to catch a taxi to Arbil, they'll be waiting when the bus arrives (depending the bus company you have taken from Iran). (Update from March 2015) None of the buses pass anymore in Mosul or Kirkuk. Both of those cities are in Daesh hands and on the front line Buses tend to travel through or near Mosul, which is not a stable area. Nonetheless, the bus will not stop so there is no reason to be alarmed or frightened - you will not even notice you are nearing these places. Also, taxis and buses from Sulaymaniyah to Arbil often travel through the Kirkuk outskirts. If you really want to avoid these areas you can try to negotiate before departure - prepare to pay a bit more. Also the shared taxis charge more to sit in the front seat. It should take app. 2 - 2 1/2 hours to get to Arbil. This can be more or less depending on the amount of cars and how busy the checkpoints are. Keep your passport handy at all times and if you are from a smaller country that is not well known...take a map with you that shows its location on the globe. Your shared taxi may not drop you in the centre of Arbil. To travel between cities Take a shared taxi from the garages at each city. Taxis are not that cheap - sometimes as much as -15000 to 30000IQD - which is - 13 to 26 USD but they are the only fast way around. Shared taxis may go through Mosul or Kirkuk (or near these cities) however there is no reason to feel in danger, as they will not stop here. Inside the big cities there is buss services which you might need to find a free guidance - in some places they sell them for couple of dollars- in any major supermarket or shopping malls to learn the buss routes as street designs in Kurdistan are different from the rest of the world, all streets are designed in circles, it starts from 20 meter street, 30M St. 40M ST. 60M ST. 100M St. etc... and the buss lines are named under the street name and they come every 10 minitues once during the daylight, no busses during night time, and also there is buss service between circle streets each buss is named by its final destination, taxis are everywhere the taxis are beige and red and white colored sedan cars, mostly are brand new Toyota Corollas and Nissan Sunny and Skodas, there is no metro, taxi could take you anywhere for a 4 to 10 USD in a big city like Erbil which is pretty cheap. Make sure you will talk to the taxi driver before you ride; tell him your destination and ask what the fare will be as they do not have meters in the cars, they will just charge you for the destance for example if you take a taxi from end to the other end of the city they may charge you 10 to 12 bucks but if you go from a nighbourhood to another they charge you 4 bucks and so on, but majority of taxi drivers are fair if you tell them the distance they will tell you the correct price and they dont take tips because the tips are included in the price and each taxi driver is owner of its car. Air travel between Silamaniya and Hawler is available and cheap (around 100 USD for a round trip), although this is only a 2 hour trip by road. The railway is not yet operational, although there are plans to refurbish this line which was once the final leg of the "orient express" railway. Kurdish is the official language and most widely spoken. You will be able to find people to understand basic Arabic and basic English. Also, higher learning institutes produce teenagers eager to practise their foreign language "skills" in many towns and a large number of expat Kurds have returned home, bringing with them languages as diverse as Swedish and Japanese. The currency in Kurdistan is Iraqi Dinars however it is often possible to pay in US Dollars (however one should expect a worse exchange rate). There are ATMs however there are none in the city centre itself - it is easier to find ATMs in the Christian Ainkawa neighborhood, a short taxi ride outside of Erbil. They can be found in some of the bigger hotels, as well as the Family Mall and Majidi Mall. Occasionally, the ATMs' server will go down and it will not be possible to withdraw money. Combined with their scarcity, it is advisable to retrieve all the money needed in one go, the possibility of ending without any cash (and no store accepts cards) is pretty high and pretty stressful. Don't forget to check if the bank in your country will accept requests from Iraqi Kurdistan (many European cards will be refused in local ATMs!). It is also easy to ask shopkeepers and retailers to chnage your currency and mostly kurdish people familiar with USD and almost every one knows about the upto date exchange rate. You can regard USD as second kurdish currency. In Sulaimaniyah city you can find currency exchange shops in Mwlawee St. and Dollars Bazar in Khnaqa area. So don't worry if you have only USD in Kurdistan you can exchage it easily. Money (euros, dollars) can be exchanged against Dinars for reasonable to good rates with merchants around the citadel in Arbil: look for people sitting down, selling sim cards; often there's a bunch of money visible in their showcase. Rates and prices will be shown on a calculator before the actual transaction. Kurdistan is, at certain times of the year, a land of rugged beauty, characterised by mountains, ravines, waterfalls and natural water springs. It has long been famed in Middle Eastern literature as a paradise on earth, owing to its plentiful scenes of natural beauty which are in such contrast to the somewhat arid scenes so prominent in surrounding areas. However, don't expect particularly beautiful landscapes in the dry summer. 'Hawler Citadel' is in the centre of the Kurdistan Capital, Hawler (also known as Erbil). At 6,500 years old at least, this ancient mound is one of the world's contenders for the most ancient continuously inhabited city. Nowadays, the citadel continues to be the main attraction, along with some slightly confusing souks beneath. The city is expanding in all directions, with the recent development of a huge shopping mall. Parastaga Zardasht: A recently discovered ancient Zoroastrian/Mithradate temple in Duhok province. Chemi Rezan: The famous caves in which the earliest human ceremonial burial site was discovered by german archeologists. The area is now carefully protected, however access is still possible. Gali Ali Bag: The highest waterfall in the middle east. (Delal bridge)in Zakho: The oldest example of a open arch bridge in the middle east, dating back to Abbasid times. Dokan lake: A large lake laying at an altitude of 900m. Numerous religous sites: Especially of the Judeo-christian faiths, such as the tomb of the prophet Daniel in Kirkuk province, the 9th century St. Thomas monastery and Jewlakan, Jewish quarter of Silamani, with its numerous newly renovated synagogues. Hiking- remember not to go to Iranian border mountains as they kidnapped three US hikers in 2009- Kurdistan is a mountainous region and there are very high mountains. Weddings: If you make friends with Kurds they will invite you to the weddings. Kurdish weddings are big and a lot of people attend. They are going to eat and dance; it is pretty much fun. Some people offer alcohol too in the parties. Fridays and Saturdays: Most of people during Fridays and Saturdays go out to mountains and outside of the city. They take food and alcohol with them and spend time outdoors. If you have friends, they will invite you to go with them. Hospitality: Kurdish culture is famous for hospitality and generosity. You can knock at anyone's door and they will welcome you in. That is not common anywhere else. Kurdish people are very friendly people, and if they know you, they will invite you more often to have lunch and dinner with them. Sports: Soccer is big. You see football fields everywhere. Bowling, golf, tennis, table tennis, volleyball, too. You can find any sports club and join most are for a charge. It is possible to see the local soccer team, Erbil Sports Club, play matches in the Iraqi Premier League and the AFC Cup. These games are usually on a Thursday or Friday. Tickets are under 1 USD and the games are played at the Francis Hariri Stadium, a short walk from the city centre. Gym: look up or ask what is nearest gym around you. Bars and Restaurants: there are a lot of types of Eastern and Western bars and restaurants especially in Erbil City. Enjoying the beauty of the nature: going out on tour trips to mountains and historical sites. Much more to do. Just make friends. It is easy. Meat! As with many other middle eastern people, Kurds are voracious carnivores. Local foods include: Kebab, dolma (stuffed grape vines), yaprax (assorted stuffed vegtables ranging from onions to courgettes, shila u brinc (the Kurdish national dish, composing chicken, rice alongside a soup, which is made from many vegtables such as okra "bamiya", and the infamous gipa (much like haggis). However, it's not exactly going to be haute cuisine. Be prepared to have a fairly grubby food experience. The shawarma shops are surprisingly tasty, with slicings of meat served in very nice samoon breads - but they aren't exactly A* cuisine. Apart from that, there are a lot of kebab or roast chicken restaurants where you will get some bread, some rice, some soup and some meat. Bottled water is widely available. you can buy small ones (250 IQD-25 cents). They'll be sold in any small shop or markets on the street you can find small markets on every corner, Make sure they are sealed when you buy them. Don't drink the tap water. The majority of Kurdish people are Sunni Muslims, so alcohol is not sold or served just anywhere. However, you can go to the classic bars; there are alot of them in the cities like; Teachers bars, Engineers bars, Doctors bars, Workers etc.. or you can go to a modern ones most bars or clubs are located in the Christian boroughs of the cities, and most new restaurants serving alcohol alongside the food menu, or you can go to any drinking lounge in hotels, also there are a lot of liquor stores, visitors are advised to try the Kurdish "Arak" (there are loads of Araks throughout the Middle Eastern countries - Lebanon, Syria etc. and Kurdistan has its own version), a concoction of fermented dates and aniseed which can, as local tradition has it, "make the driest eye cry". European beers, lagers and ales are also obtainable as are locally produced wines, which makes up for what the local alcohol lack in sophistication. In the Erbil suburb of Ainkawa (A Christian village originally accessible by a short taxi ride from downtown Irbil), the traveler will find a fairly wide selection of alcchol and the prices are quite reasonable. Also there is alot of Cafe shops and restaurants just find a guidance booklet. The German Bar - Located in Ainkawa in a residential area,its a favourite for expats. Outdoor bar and stage. Gunther puts on a big bonfire for Easter, Xmas, 4th of July, Canada Day etc... The food is really good. In the warmer months he puts on a BBQ. T-Bar - Good Food (most of the time). Quiz night on Mondays is pretty rowdy. Friday nights the lights dim and the dance music gets really loud. Then all the Kurdish dudes dance with each other. Race Track - Newly renovated 2 level reso-bar concept on a go kartbtrack. Good food, expensive drinks, not a lot of commingling of the guests. Fun to go with some mates, drink and get behind the wheel..
Skybar - On the top floor of the Noble Hotel. Great views, good food, expensive drinks. Sometimes its booked for private functions. The Marina - What you will find is 5-6 hundred Kurdish people sitting at tables in their best gigs, having food hitting the hookah. Hotel Azmar Aka Azmar Palace - It is on the top of the mountain overlooking the city. Nice views outside and inside. While Kurdistan Iraq is a reasonably safe place, the journey can become dangerous if you cross into the areas of Iraq outside of Kurdistan regional government control. Kurdish Military was strong allies with Coalition Forces and they helped US Military to cover Middle and Northern parts of Iraq during the 2003 invasion, and US Military strongly relied on Kurds, not even one US soldier killed in Kurdistan during the war, Kurdish people love America and Americans and they are very friendly, much more they want to make strong ties with the west generally rather than surrounding Arab countries, Middle and Southern Iraq is extremely unsafe as compared to Kurdistan, with bombings and attacks on foreigners commonplace. The border is well demarcated by the Kurdish security services.